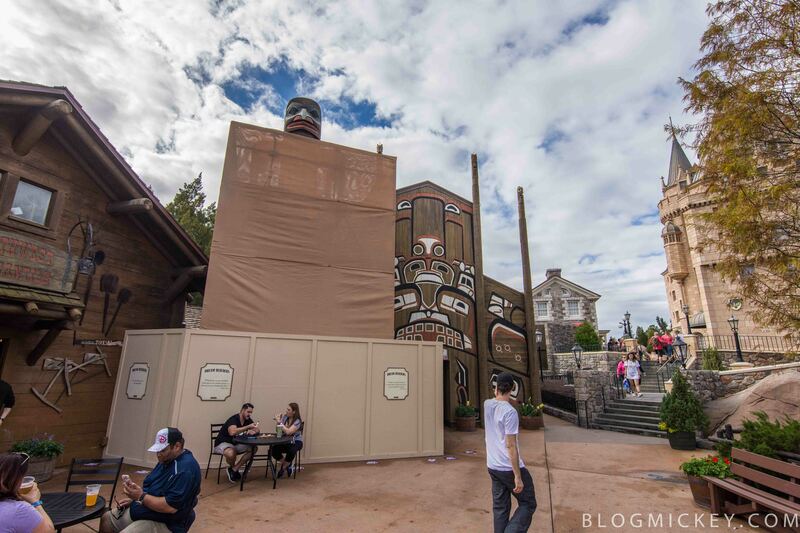 Disney has put a scrim around the totem poles in the Canada pavilion. They’re changing the totem poles to better reflect a culturally authentic experience. No concept art has been released of the new design. The work is scheduled to be completed by January 20th when there will be a dedication ceremony by the Git Hoan Dancers.